Rest is not idleness, but to lie sometimes on the grass under trees on a summer day, listening to the murmur of the water, or watching the clouds float across the sky. Just about 40 minutes drive from Kolkata’s Central Business District, off Diamond Harbour Road (about 10kms from Ibiza) is "Breathing Earth”. This piece of earth was chosen and designed by the Purkayastha family members, to offer a whole new way of spending weekends . Every nook and corner has their personal touch. From diet and exercise - with focus on personal attention, luxury amenities, and myriad activities that embrace fitness, sensible dining, and holistic achievement, the resort has everything to wind up. At Breathing Earth, 12 mud houses have been designed to keep you close to mother earth, give you personal space to relax and be thoroughly in harmony with the serene surroundings. 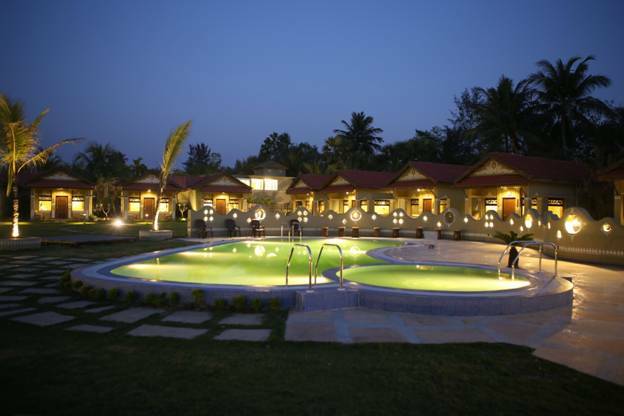 The resort is lush green with groves, luxuriant landscapes, small organic gardens and natural ponds. The beautiful swimming pool and the restaurant with specialty cuisines are just out of the world! 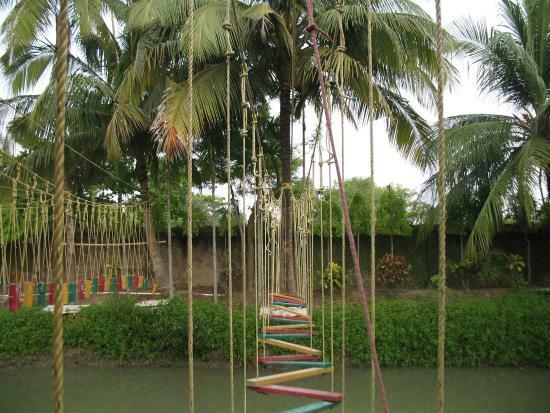 The resort has numerous adventurous activities for children and young adults in its “Adventure Corner”. 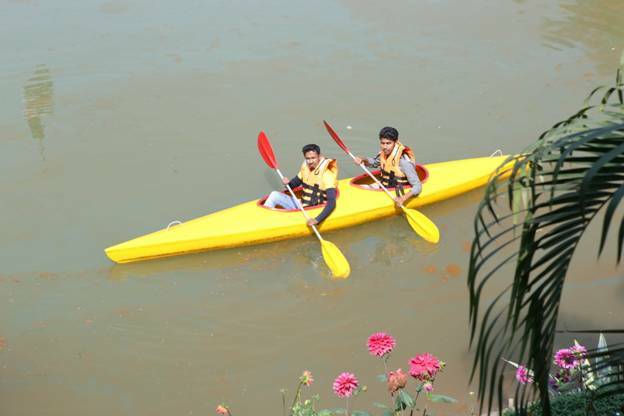 There are natural ponds in the resort where you can experience kayaks and paddle boats. 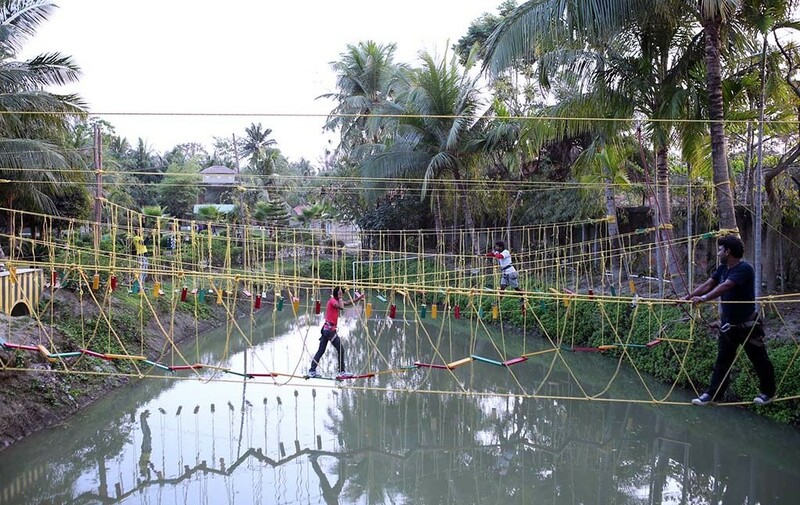 They also have hanging rope bridges over the water-bodies. 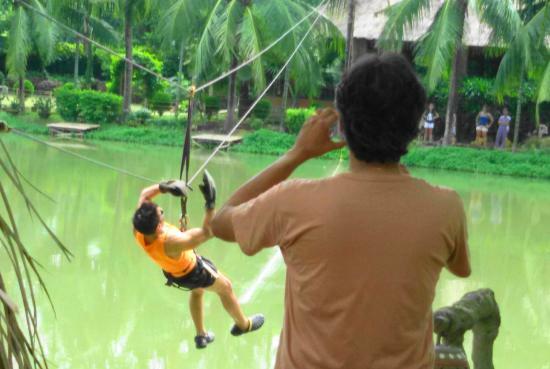 The Rock Climbing Wall inside the resort is another attraction for young adults. 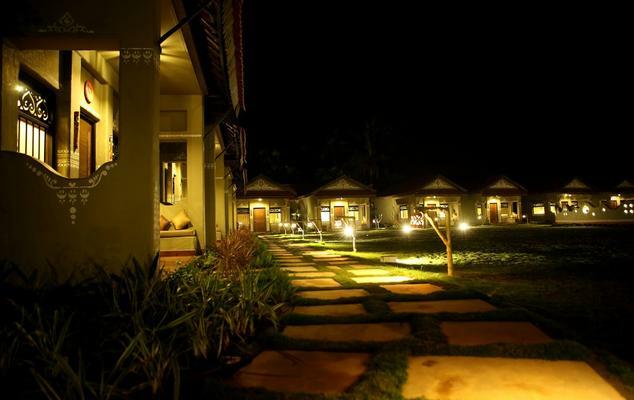 The Resort is lush green with groves and a small organic garden. Walking and jogging in the garden, itself is an experience. However, weekenders spend most of their time in the stunning blue pool and kids in the separate pool made for them. The resort has in-house chef to satisfy different taste buds. 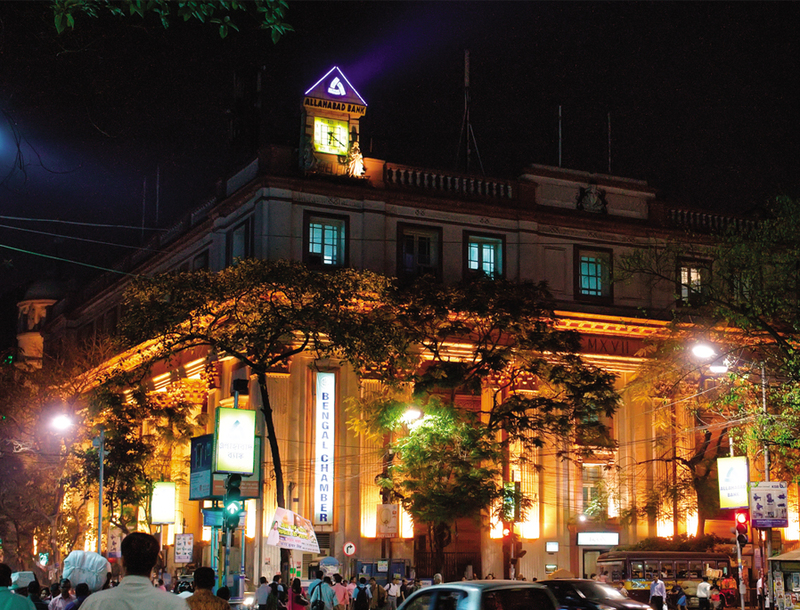 Its Continental breakfast, authentic Bengali lunch and Chinese dinner are just out of the world. 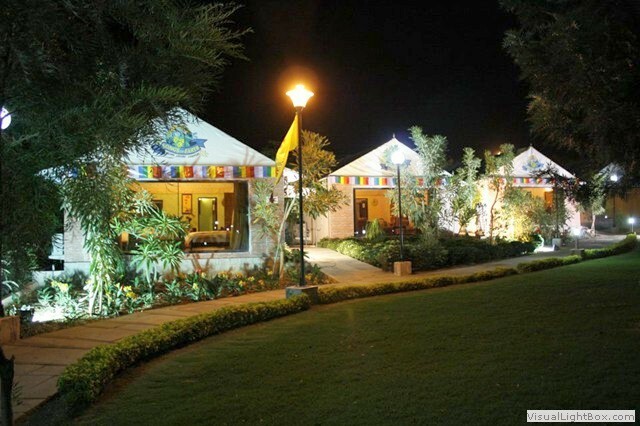 It also serves regional cuisines and food of personal choices. It has both buffet and a-la-carte services with vast options. Breathing Earth boasts for its unique mud cottages. 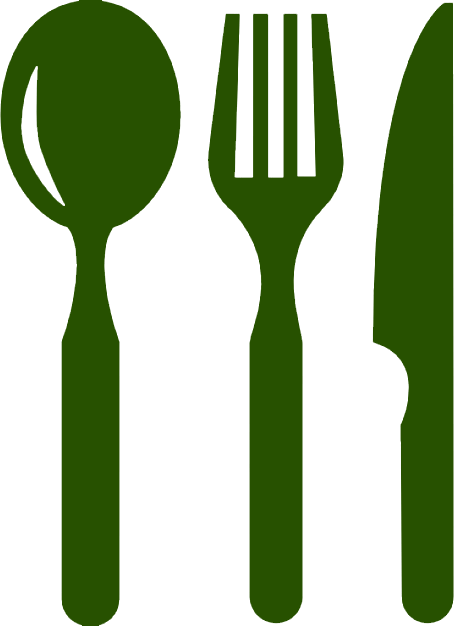 All twelve cottages provide luxurious staying and all of them face to manicured garden with sitting arrangements. Each unit is 450 sq.ft, includes a comfortable in-room lounge area and an outdoor sitting area. 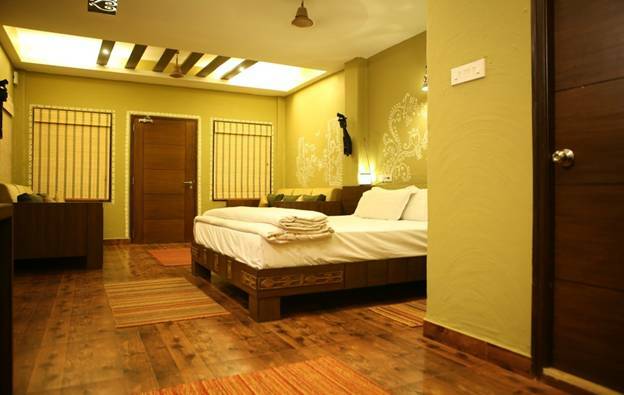 Rooms are elegantly decorated with handcrafted lamps and paintings. All the rooms are with king size beds and all modern facilities with a mini fridge, tea-coffee maker, television and en-suite bathrooms.